Looking for an anesthesia dentist in Phoenix, AZ? Fear of dental pain should never keep you from getting the dental care that you need. 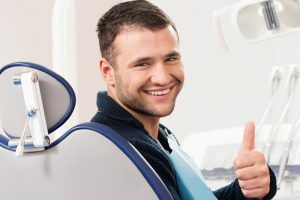 A trained anesthesia dentist can use modern techniques along with the latest technology to prevent you from feeling any pain or discomfort as they work on your teeth. Within the context of dentistry, local anesthesia is what is used to block or temporarily freeze the nerves inside your mouth so that you do not feel any physical pain as they work on your teeth. Anesthesia goes beyond just numbing the local physical pain, however. Oral Anesthesia – Medication is administered as a pill about an hour before the procedure. Nitrous Oxide – Also nicknamed “laughing gas,” is often used for mild sedation. Nitrous oxide is inhaled through the lungs and induces a euphoric or relaxed state of mind. IV Sedation – IV sedation requires additional training, but can be used to administer and control anesthesia drugs intravenously. This can help put a patient into a sleep-like state so they aren’t aware of any pain and won’t remember the procedure. Dr. Reem Kidess is more than just an anesthesia dentist in Phoenix, AZ. Dr. Kidess has advanced special training, and provides high-quality dental care to those patients who experience all levels of dental fear; from mild to very severe. If you’re looking for an anesthesia dentist in Phoenix, AZ who can provide you with comfortable and compassionate care, we invite you to contact our office today.